Check UNN Postgraduate Screening Result 2018/2019 Session Here. The Unn postgraduate screening result 2018 has been released officially. This is to inform all University of Nigeria, Nsukka (UNN) Postgraduate students that the result of the last entrance examination for 2018/2019 academic session is now available online. Prospective PG students are to check for their screening scores online with the result checker slip. The result checker cost N1,000 only and can be generated online. Note: You are to come with the printed materials and your laptop to the workshop. for those whose name is on the admission list, please go to the portal and log in with your application number as your username and password. you will be prompted to change your password. do that. then update your bio-data info. print it out. the acceptance and school fees pages will open, and you should be able to print out your acceptance fee invoice, and school fees invoice. go to the bank and pay as appropriate. Best wishes to all. I had already done mine. Let me briefly explain for all those who said they can’t find their department. I put a call through the admission and records and i was vividly informed that the delay was due to the ongoing non-academic staffs’ strike. The names they released was as a result of a secret meeting because the university was worried and needed to calm the applicants down.. In the course of the secret meeting that was held on December 2017, some department were not present (because they feel they didn’t need to be as they were on strike).. those departments such as marketing, international relations etc cannot be seen in the released list.. Justifiable i guess. So, they are planning another meeting to complete release of the first batch and no lecturers will be initiated until all first batches are released.. Finally, the waiting is over. The admission list was released on Saturday evening. 03/02/2018. I have been offered admission. congrats to all those whose names appeared on the first batch. To others, I will say this, WAIT. click on unn 2017/18 postgraduate admission list on the home page. it will open a new window. allow it to download, and run through it to your dept. A friend just told me now that perhaps I have not been admitted bcus my transcript was forwarded to Nsukka(d address on the print out) and not Enugu where the faculty is..
this is just the first list. but, i will advice that you go and confirm where ur transcript was sent to. if to the wrong place, can u process another transcript urgently within days and hand-submit it to nsk? also, please, make adequate and relevant inquiry about this. TIME IS OF THE ESSENCE. Admission Letter is out. I have collected my admission letter for MBA. I don’t understand. where did u see the admission list? Please does any one know when the pg admission list would be released? The delay is tiring. @Chi. The list will be released AFTER the NASU strike is called off. Please oh, who has any idea if UNN actually accepts CGPA below 3.0? Or they just placed it there to have more sales…. @ Estialo, that supplementary admission list as uploaded is just for formality. Those set of students were given admission some months back. Infact most of the 2016/2017 post graduate students are already through with their final course work examination. I ave a friend that finished his examination last week. God’s willing I think we should be hoping to see the list any moment from now. Last year the first list was released on 7th Dec. (Wednesday). Exactly a yr today. @COSH, Thanks alot for the info…. Please I need information from prospective MBA students or any one with relevant information, on general performances of MBA screening test result. I have a different opinion with you, as they was a downloaded transcript form with proper address, and schools deliver transcript using courier services, except some decided to be a Nigeria and hand carry it to destination of choice. 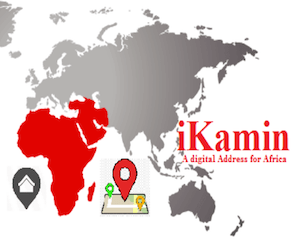 Courier services will always delivered at designated address. i was at PG school this afternoon. i was told that the news flash wording was an error, it was directed only at those who had not submitted their hard copy earlier. Main campus is where they suppose to send the transcript. My own was sent to the main campus. thanx, God bless…. Is ur faculty also in UNEC? Candidates who applied and submitted their application forms online are required, as a matter of utmost urgency, to visit the UNN Portal (online) and print copies of their submission, and present the hard copies to the Admission Unit, School of Postgraduate Studies, University of Nigeria, Nsukka. You are requested to upload the above information to facilitate the possessing of candidates application forms. Please what do they mean by “You are requested to upload the above information to facilitate the possessing of candidates application form”? OK thanks. Have you resubmitted your forms? Who knows the highest score in public health? Relax guys, UNN admits 98% of valid applications. The only reason why you wont get admission here is when you have issues with your transcript. So ensure your transcript reaches PG school on time. Good luck everyone. Scored 22 for marketing. Any hope? Bro by his grace, you’re good to go.. When they add both to get your weighted Average.. But prayer is still needed though. is checking the result a sort of criteria for getting Admission. The result is over 100.Stop listening to false news. Just ensure that your transcript gets to PG sch before it’s too late. @ Ignatius. I guess it will be based on weighted average( (CGPA + screening result ) ÷ something). I also believe it will depend on the general performance of ur dept in the screening . The scores of the highest 75% of the candidates will determine the dept cut off. So, keep up the hope. @ignatius ; I dont really know, it might depend on the dept. A friend of mine scored 38 last yr and he was given admission, he applied for M.eng agric engr. @uch .. if some one got Below 40, would the person get admission? It should be over 100 above i scored above 50. @ ignatius, I dont think they really make use of cut-off marks, their major tool is the transcript. wat iz d cut off mark? @godwin, maybe ur dept marked their’s above 50,lol. Etailo,is bcos I scored above 50 and I knw 2 other friends dat does same. Aldo majority is below 40 based on my own observation ooo. For Jennifer, I think we d record online, d test was released at abt dis time last yr but admission delayed till early Dec. but lets ope d improve dis yr.
Godwin what is your course, please? M Ed Voc. & Tech. Edu. Dear u really dont have to sound that way, of cos u have a very good score DAT can fetch u merit admission. I also scored above 50 and our question was 50 in number.just believe d admission is urs, though admission is based on department. I can also remember a friend who scored 62 for MSC Economics last year n he was given merit admission. Please the result is total of what?